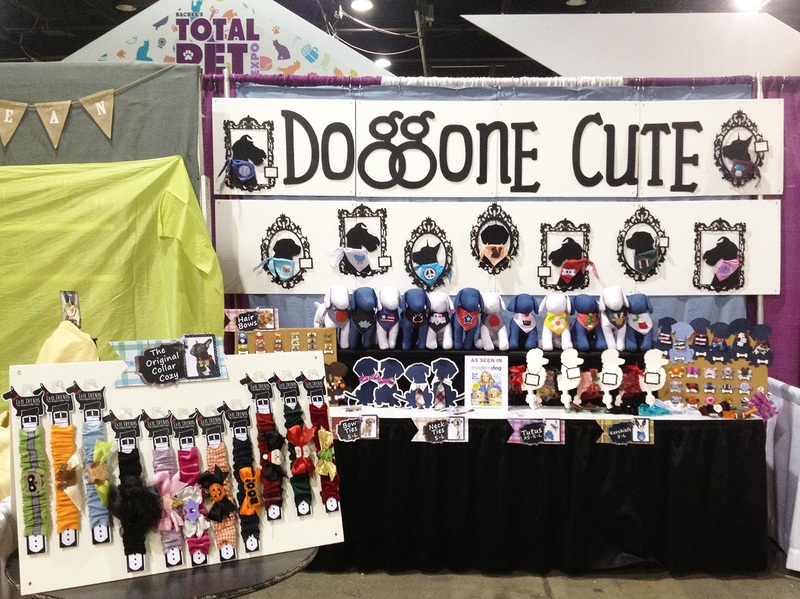 Our Booth At Total Pet Expo! 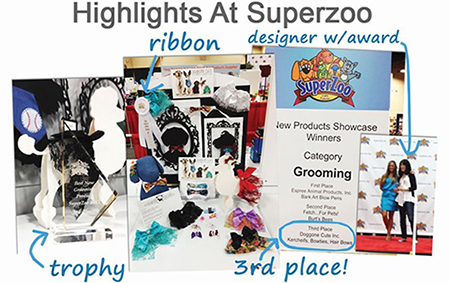 Tail Trends > Tradeshow > Our Booth At Total Pet Expo! When you’re there, check out our best-selling kerchiefs and tutus, neck and bow ties, and hand-made hair bows! We’re also super excited to introduce seasonal additions to our line, including new Halloween and Thanksgiving styles. Additionally, we’ll be showing off our new “Collar Cozy,” which is on the lower left corner of the picture! 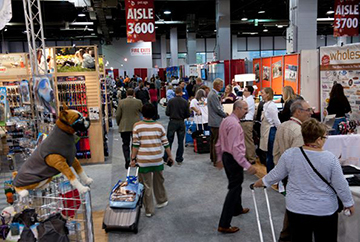 Be sure to stop by our booth to view the latest pet trends, and remember that gift-season is coming up! 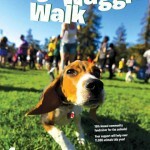 Gear up to get your pooch (and your neighbor’s or client’s pooch) stylin’ for the holiday season. And, if you’ve already visited our booth, we’d love to know what you think! 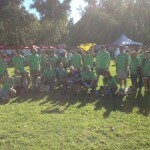 Visit Us At Backer’s Total Pet Expo 9.20-9.22!